Resonant with the western tradition in all its facets, with ancient folk melody, with nature, with the vibrant structure of sound itself, the music of Hans Abrahamsen yet has the freshness of something untouched – untouched, and touching by being so. We are in a world we partly know. Bach and Ligeti are just over the horizon. That tune rings a bell. Memories stir of sound as clear as light. And yet everything is different. No wonder this is a composer of so much snow music, for snow shapes itself on what we know to offer the possibility of a new start. This, the new start, Abrahamsen has achieved several times, not least in his Schnee (2006-8), scored for two pianos and percussion with contrasting trios and justly esteemed one of the first classics of twenty-first-century music. Gradually crystallizing canons, playing for close on an hour, are also musical portraits of snow: its flurries, its delicacy, its cold. Though based on a modal melody, the piece is by no means white-note music; indeed, characteristic microtonal retunings, made during the course of performance, are crucial to how it sounds, beautifully blurring the counterpoint as the canons shift in and out of focus. An early beginner – his first published works date from when he was sixteen – Abrahamsen started out with a flair for rediscovering fundamentals. By the age of thirty he had produced a sizeable output: several orchestral works (Nacht und Trompeten, a luminous and dramatic nocturne, was commissioned by the Berlin Philharmonic), two string quartets and numerous other pieces, mostly instrumental, including another fine example of wintry musical poetry, Winternacht. In 1984 came a set of seven piano studies (later increased to ten), some of which, in their furious processes, strikingly anticipated Ligeti’s of the following year. Ligeti, briefly his teacher, had been one of his first heroes, for exactness and beauty, along with Steve Reich. Now the debt was repaid, and a door opened. Abrahamsen immediately arranged six of the studies to make a companionpiece for the Danish première of Ligeti’s Horn Trio (an arrangement subsequently reworked, with cello in place of horn, as Traumlieder); he also recomposed four of the pieces for large orchestra. That, however, did not come until twenty years later. The path leading on from the piano studies turned out to be not so self-evident, and Abrahamsen’s productivity slowed, then stopped. Meanwhile, he was finding a new outlet as an arranger, notably of pieces by Bach and Nielsen. Of original compositions, only a brief Rilke setting, Herbstlied, interrupted his silence between 1990 and 1998. Having returned to creative activity with a couple more piano studies, he then produced his first extended work in a decade and a half, the Piano Concerto he completed in 2000. Here, not for the last time, a new beginning had deep roots in his past – in the turbulent lopsided ostinatos and the contrasting stillnesses of the piano studies, and in the polyphony of type and topic that went back to Winternacht and beyond. The concerto is also thoroughly characteristic in being at once intimate and tightly crafted, as close to Schumann as it is to Stravinsky. Once again, however, what might have seemed a breakthrough proved an impasse, and it was at this point that Abrahamsen turned again to his piano studies to remake the first four as Four Pieces for orchestra (2004). Rivalling Ravel or Boulez for orchestral transformation, and scored for a large grouping that includes Wagner tubas and plentiful percussion, these movements discover in the keyboard originals not only unsuspected intimations of bewitching sound but also an unforeseen expressive power. 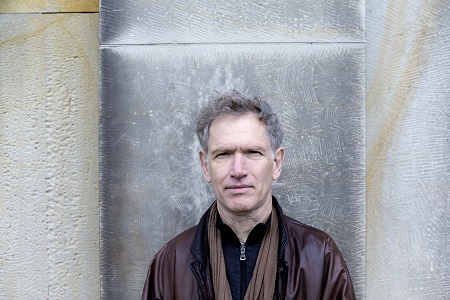 Abrahamsen’s work as an orchestrator or reorchestrator has gone on, with a reduction of Nielsen’s last symphony and an arrangement of Debussy’s Children’s Corner, now alongside the sequence of major new works that opened in earnest with Schnee. His Third String Quartet (2008), in four short movements, is a relatively simple piece that remains deeply puzzling. It starts with a purely diatonic invention (such things had happened before in his music, for example in the final movements of his First Quartet and of his wind quintet Walden) that might easily be a folk song, and that seems to hold the key to the movements that follow – a key they can never refind. Microtonal tunings are absent here, but return in Wald for fifteen players (2009), which, like Schnee, is at once natural depiction (in this case of shadowy forests), cultural evocation (of horn calls, hunts and lurking mystery) and elaborate musical construct. The self-similarities of tangled woodland are echoed at several levels, from that of the opening tremulation (fourths played by two violins, microtonally and metrically displaced from one another) to that of the large-scale variation form. The ominous yet captivating misaligned fourths from the start of Wald come back at the beginning of the work that followed: the Double Concerto for violin, piano and strings (2010-11). There are flakes, too, from Schnee, such as the chilling-exhilarating quasi-unisons of high piano and string harmonic or the dancing figures of the two fast movements. Yet this is also a work with its own character, reaching to moments of bursting brilliance or consolatory embrace. Each composition joins its companions as a sibling, related but distinct. Abrahamsen’s Fourth Quartet (2012) begins in a glacial world of high harmonics and ends in a typical use of rhythmic intricacy to create irregular dance. His let me tell you (2013), a monodrama for soprano and orchestra, again finishes in a winter landscape but is perhaps most remarkable for its reinvention of vocal melody, keenly expressive, on the part of a composer who had written very little for the voice. His concerto for piano left hand, Left, alone (2014-15), is again a drama, a story of conflict, solitariness and communal exhilaration, and proves him ready for the next challenge he has set himself, that of opera, on a subject made for him: Hans Christian Andersen’s The Snow Queen.